After pre-visualizing this image I waited past sunset for the first hint of light to shine behind the mountain. 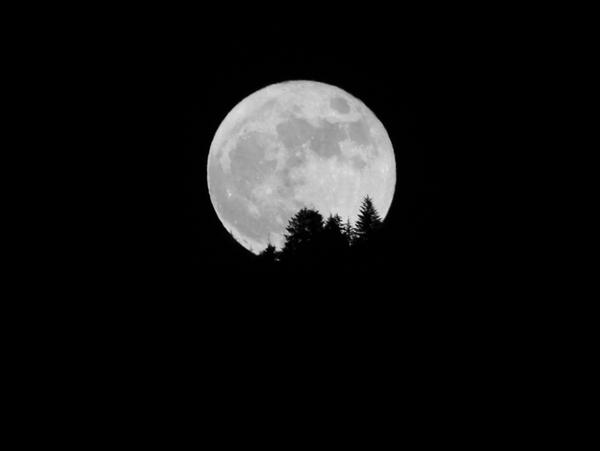 As the glorious full moon rose above the treeline, I quickly composed to capture what I had been looking for. It has always reminded me of the movie E.T. The Extraterrestrial, minus the silhouette of the boy on his bike flying across the night sky with ET in his basket. It also represents perseverance. No matter what the day brings, it is always certain… that the moon will be rising. Over the Edge. Monumental Vision.